Our community has used the Lausanne Covenant as a statement of faith and has also promoted the Manila Manifesto with our staff. 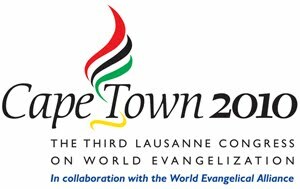 The latest statement of faith from the Lausanne Movement is the Cape Town Commitments. Although all statements of faith have their weaknesses, I am a fan of the Commitments. While the Lausanne Covenant and the Manila Manifesto took as their point of departure Jesus’ Great Commission to go into all the world to make disciples of all nations, the Cape Town Commitments start with Jesus’ Great Commandment to love God and to love our neighbors as ourselves. The translation of the Cape Town Commitments into Romanian has just been completed by Paulian Petric and published on Danut Manastireaunu’s blog. With the advent of the translation, I decided to post some of my suggestions for the final version of the Cape Town Commitments. We received a draft at the convention in Cape Town, and I sent my suggestions to a few of the members of the theology working group. Although I never heard back from the theology working group, I did notice that some of my suggestions were incorporated into the final version. In the draft, under point number four, the Commitments affirm that “We love God the Son.” Sub-point a) offers a summary of Jesus’ life. However, nowhere did it reference Mary, to whom the church later gives the name “God-bearer.” It might be expected of Protestant and Neo-protestant Christians to exclude Mary, either intentionally or unintentionally, from their statements of faith. 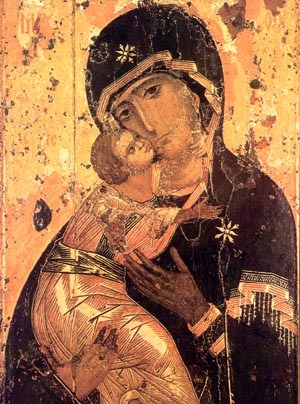 It actually seems strange to me that I would be advocating for Mary in light of the fact that I have witnessed many non-orthodox attitudes and practices towards Mary. Still, to marginalize Mary from our theologies and practices means that our own theologies and practices are distorted. When we affirm Mary as the virgin mother of Jesus, as the Nicene Creed correctly does, we acknowledge that Jesus is situated not only in historical terms (which the Commitments imply by naming Jesus “of Nazareth”) but also in human terms. If Jesus would not be born of Mary, then the Son would not be human. Athanasius and the Church Fathers said that whatever is not assumed by Christ is not redeemed. By assuming all of our humanity, all humanity may be redeemed (1 Corinthians 15:20-28). That is, God didn’t act in human history from an outer realm, and the Son didn’t fall from the sky into human history. Rather, the Son is “born of a virgin through the Holy Spirit”, bringing salvation through and within humanity. Without Mary, our humanity is lost. Mary has been included in this section of the final version of the Cape Town Commitments.